This is a guest post by Amanda Woods of the travel blog Adventures all Around. It’s the first time I’ve said that to a cat, but then again, it’s the first time I’ve stayed at a five star hotel with one either. I look at Miss Kitty Fantastico’s furry face and as she looks back, purring away happily, I smile. I wasn’t quite sure how this night would pan out. 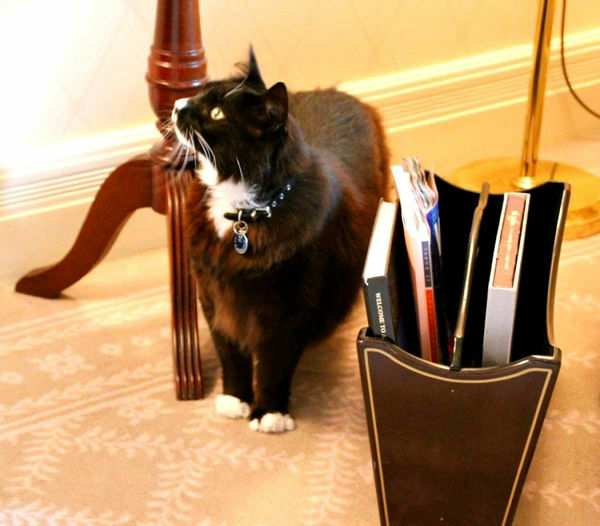 When I first heard about The Langham Sydney’s Pampered Pets Program I found it interesting that they went beyond the more common dog-friendly policy and also accepted cats. And birds for that matter, though that’s been more of a theory than a practice as people don’t seem to take feathered friends on the road as readily as they do four-legged ones. I was curious as to how a cat would cope with a night in a hotel, and glossing over what they say about curiosity and cats I jumped at the chance to find out. I loved receiving a hotel confirmation for “1 Adult, 1 Cat” and was excited not only about the adventure of sharing a girls’ night in five-star luxury but also about my first night as a guest at Sydney’s Langham. Understandably, Miss Kitty wasn’t too excited about the sight of her cat carrier coming out of the closet. Since I first brought her home as a scrawny little rescue kitten she has only ever left the house to go to the vet, so that’s a reasonable Pavlovian response (hey, we all have them, it’s not just for the dogs). I thought as soon as she hopped out of her carrier in our beautiful hotel room she would be delighted to realize she wasn’t at the vet but was instead somewhere fun and new. Yes, cat people, for some reason I thought she’d be one of those cats. The fearless ones. Rather than the ones with scaredy-cat tendencies when faced with a new environment. Turns out she’s a little more typical than I’d expected. After gingerly stepping out of the carrier she took one look around and went straight under the bed. After some soothing talk and a few cups of tea (the talk for her, the tea for me, that is, but you got that) she was coaxed out from under the bed, only to decide the best place in the whole room was behind the seat in the corner. More tea and sympathy followed though I will admit I was also delighting in exploring the room while I talked to her. I loved the little touches like the pretty In Residence stationery, the adorable pink and gold toiletries (tiny talcum powder! ), and the special Langham edition of one of my favorite books, Alice In Wonderland, which was first published in 1865, the same year The Langham in London was opened as Europe’s first ‘Grand Hotel’. Then there was the pink Langham Sydney pet bed with gold piping and the pretty food and water bowls, which added an extra touch of kitty glamour to the room. In the end, Miss Kitty didn’t actually curl up on her bed, but she did decide that mine was a pretty good place to be. Slowly, she started to come out from behind her chair and have a good look around. Then she joined me on top of the bed and as I gave her a cuddle she started purring up a storm. Music to my ears. After we both relaxed for a while, it was time to think about dinner. The Langham Sydney and The Langham Huntington Pasadena in California are the only Langhams in the world to offer their Pampered Pets Program (though it should be noted the California one is for dogs only). 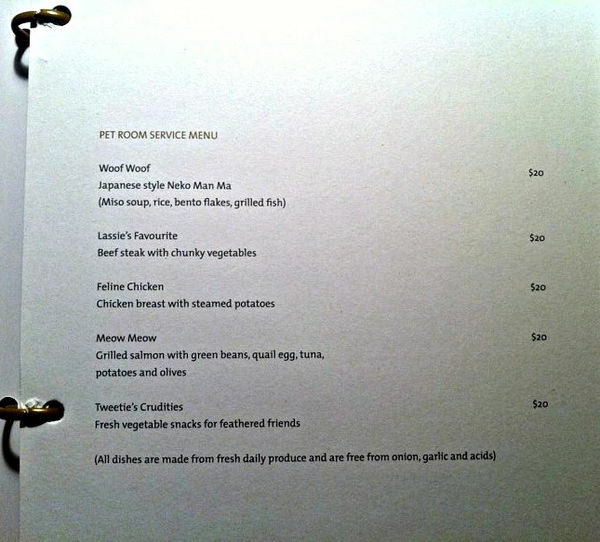 One of the features of the program is a special Pet Room Service Menu. 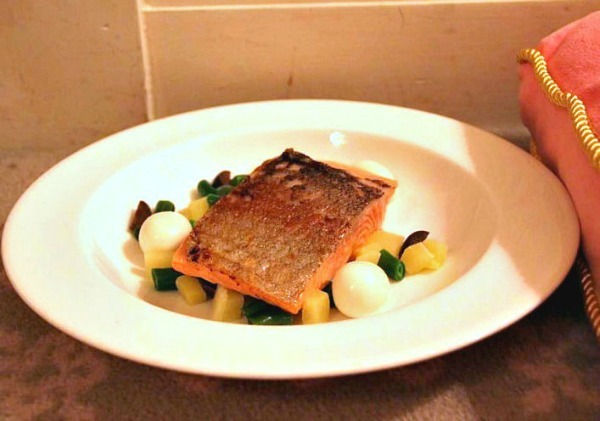 The pet’s meals are freshly prepared in-house and free from onion, garlic, and acids so they’re kinder on pet tummies. I’m told the menu is very popular with animals that are used to traveling and being spoilt in such a way, but I soon realized I really should have taken some of Miss Kitty’s favorite food from home. When I tried to decide between ordering her the chicken or the fish I went for the “Meow Meow”, which is Grilled Salmon with Green Beans, Quail Egg, Tuna, Potatoes & Olives. When it arrived, it was the sort of meal I would have been happy to see on my own plate, but unfortunately, it was all a bit much for Miss Kitty. I tried breaking it up and holding out little pieces of the salmon so that she knew it was okay, but she wasn’t having it. At some point in the night, she did have a bit of a nibble, but it was sadly wasted on her. My dinner of oysters followed by a BBQ duck glass noodle salad was definitely not wasted on me… it was delicious, but that’s another story. After watching a movie together, we fell asleep, and then the next morning, I did something I should have done before I started this whole experiment: I called an expert. Dr. Katrina Warren didn’t sound surprised when I explained how the scenario had unfolded. As she explained, “Cats don’t travel as well as dogs. There are some cats that cope remarkably well in an outgoing situation and that you can move around, but most cats don’t like change. “When cats are somewhere new, they’ll think ‘Woah, where am I?’ and then they’ll go for safety which is usually underneath the bed.” While The Langham did provide kitty litter and a tray, and Miss Kitty was (thankfully) happy to use it, Katrina says you should also travel with your own litter and box if you can as cats are so fastidious about cleanliness and like their own trays. Some pets may be used to five-star dining options, but when it comes to food Katrina says it’s usually best to take your own, whether you’re traveling with a dog or a cat. “If you change their diet they can end up getting diarrhea, which is the last thing you want in a hotel.” And one of the most important things you can do before traveling with your pet is to make sure they have current ID clearly displayed. 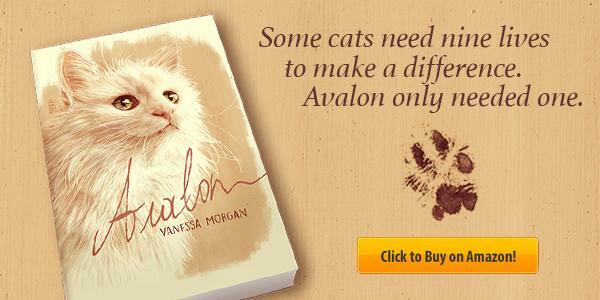 “The problem with traveling with cats is they often want to bolt, and if they get a chance they’ll run,” Katrina says. “If you have a cleaner come and open the door, it’s highly likely a cat will bolt out the door, so you have to make sure you have clear ID on them.” If you do want to have a cat that you can take with you when you travel, Katrina says you need to start getting them accustomed to the concept at an early age. If you are considering a five-star getaway with your pet, you should know that you’re not allowed to leave them alone in your room in The Langham Sydney. If you want to go out the hotel will arrange a pet sitter who will come to your room and hang out with your furry friend. It’s $25 an hour for a sitter, and you do need to book in advance. For me, I was just happy to hang out with Miss Kitty and read a book and watch movies; though you may want to remember that renting movies in five-star hotels can cost almost as much as seeing them at the cinema. To order an in-house movie was $16.95, though they did have a DVD player and a few older movies to borrow for free on DVD from the concierge. Although I knew Miss Kitty was probably ready for some of her own food and to see her old territory again, I was sad to leave The Langham Sydney. As we were checking out the Assistant Chief Concierge Martin Bray spied the cat carrier and came over to say hello. As he talked to Miss Kitty in her carrier (“It looks like I’m talking to some luggage!”) I discovered Martin is a fellow cat person, and we bonded over our furry friends. As I told him how the experience had gone, I knew that if I had brought my other cat, Biscuit, it would have been a very different story. I’m sure he’d love to travel. In fact, when he went missing for a few weeks I got a call from the vet to say she had him with her and that he was booked on a flight that afternoon. Apparently, someone had fallen in love with him and decided to take him with them when they left Sydney. Luckily, the vet realized something was off, scanned his microchip and gave me a call. Biscuit’s tales have amused many of us, including the lovely Not Quite Nigella who included the little ginger nut in her Traveling Cookies story. Now, I also have a shared adventure with Miss Kitty Fantastico. Turns out she’ll never want to be like Karl Lagerfeld’s cat, Choupette, who eats at the dinner table off dishes by Goyard and has two maids and a driver to take care of her. From now on, the closest Miss Kitty will get to traveling is when she helps me pack for a trip by sitting in my suitcase. And that’s just fine by me. The Pampered Pet Program is available at The Langham Sydney, with a charge of $70 per pet per night, added to the room rate. A minimum $500 charge is added if pets damage the room. 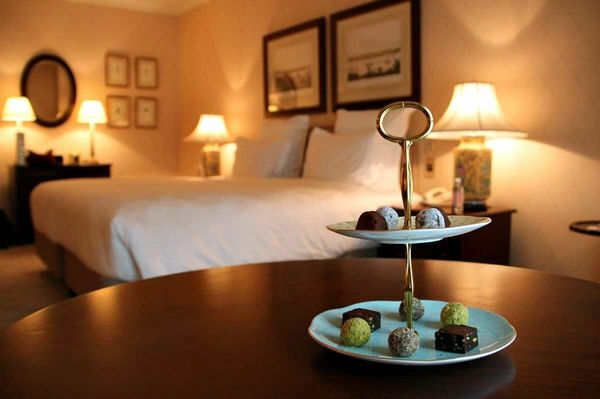 Click here to book your stay at The Langham Sydney. I wish more hotels allowed cats! Great read, thank you! That looks like a wonderful place to stay. I know none of my cats would want to travel that far though. That is one handsome cat. I love the little bow tie on the collar! It's awesome there are pet friendly hotels that even cater towards your furry friends. One problem I have with going away is what I do with my cats. I think I'm going to put them in a cattery this year. First of all, I love the name! Miss Kitty Fantastico! Awesome! Second, I had never heard of this hotel program for dogs let alone cats. What a great idea! It sounds like it's an awful lot of trouble and expense for everyone. I think I'll leave my cat at home where she's happiest. Rocko just doesn't travel well. Calvin and Hobbes, however, would've loved it. That sure is pampering and an adventure, which none of my 4 cats would like either. The closest our cats would come is to sitting in the suitcase when I'm packing. The pet industry is HUGE, and I'd to figure a way into it. Quelle aventure ! Et quelle étrange aventure ! Je ne ferais jamais une chose pareil à mes chats. Les chats sont des animaux très territoriaux. Mais ça doit surement fonctionner ce genre d'établissement. 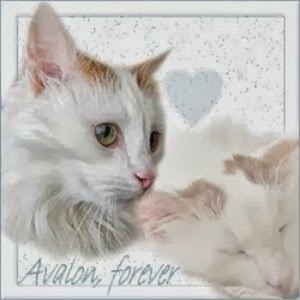 He is a beautiful cat and looks just like one of ours, white feet and neck. He looks like he lives in the life of luxury!! Its Shows Cat was very Comfortable with the New room enjoying the Service!!!!!. 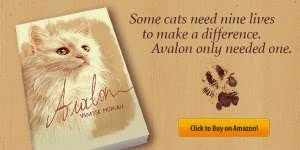 Check Out My Online Store for Cat Lovers. Tux and boots - makes for a perfect pussycat!! Love the fancy room service menu! Miss my cat that we had to leave behind in Australia when we moved to England. What a nice hotel room! Wow. Pets allowed? 5 Star? That's insane. I can't imagine bringing a pet on a trip. It would be a little like taking a baby to me, but it sounds like it was an interesting adventure. Who doesn't want an adventure? 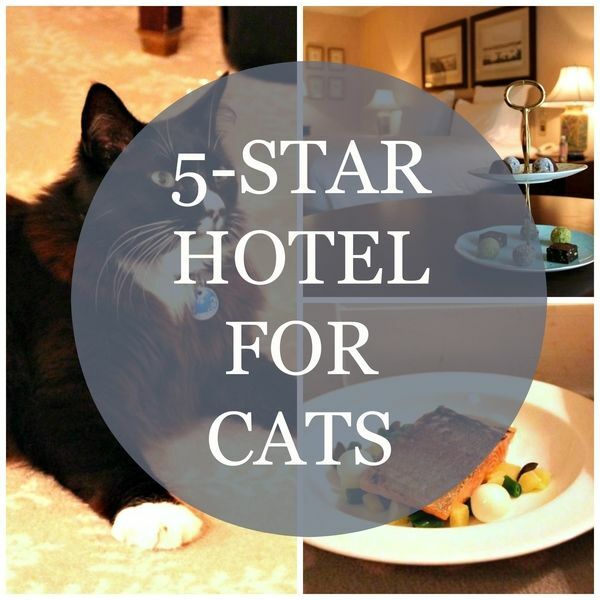 I think a five star hotel allowing you to stay with your cat is absolutely wonderful! If I ever traveled I would hope to take my kitties with me too. Room service with your cat sounds perfect. Hello, what an awesome getaway. 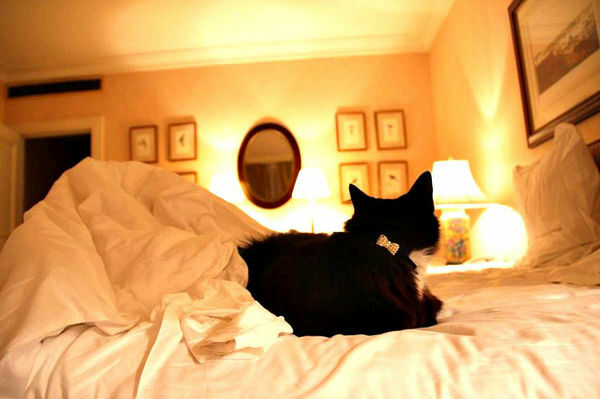 A beautiful 5 star hotel allows kitties, that is wonderful. Great photos. Thank you for linking up and sharing your post. Happy Saturday, enjoy your weekend! Fun post and adorable kitty shots! What a lovely feature and what beautiful photos! What a cool program! I would have been on edge staying in a hotel with any of my three kitties. I don't think they'd travel well haha. Thanks for linking up to the best of the blogosphere link up! That is an excellent service, thanks for sharing with Hearth and soul blog hop. That's awesome! 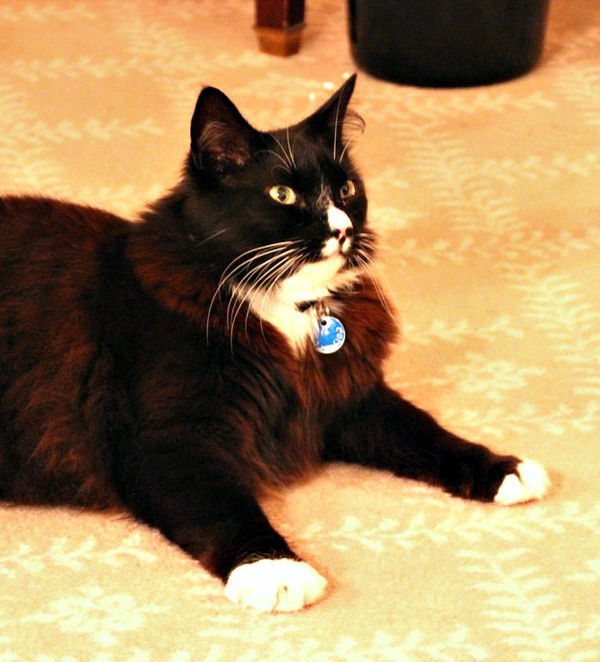 We wish more places rolled out the red carpet for kitties like that! cats usually on't like to smell foods what they don't like. So their likes and most importantly the healthier foods should be considered for them.For help you can take help from Cat blog.